Posted by Nicole Richards on Tuesday, July 29th, 2014 at 10:28am. Florida Lobster season opens with a two-day recreational mini season, which is your chance to catch the biggest tails before the commercial fishermen set their traps. The mini-season opens on Wednesday at 12:01 a.m. and there are many clues that there will be more scuba divers and snorkelers chasing the tasty crustaceans than ever before. According to the Florida Fish and Wildlife Conservation Commission, a total of 121,181 annual lobster permits were purchased from July 2013-June 2014, an increase of nearly 30% from last year. The competitive advantage is minimized by the fact that as many as 50,000 other divers invade the state's reefs during this intense 48 hours. In Broward and Palm Beach, the first reef line is an easy swim from shore and holds plenty of bugs at the beginning of the season. Local charter boats also take divers to productive sites farther offshore. Beach, Inlet and deep ledges off Jupiter Inlet are popular bug sites. Charters out of Palm Beach Inlet offer a selection of both deep ledges and shallow reef lines that hold plenty of big bugs for drift divers. From Miami Beach north, bug hunting starts right at the beach. Off South Beach, you'll find legal-size lobster within 50 yards of the sand, or you can join lobster charters to natural reefs, ledges, grass beds and man-made, state-approved rubble reefs. * Lobsters must have a 3-inch carapace, or head section, measured from between the horns to the rear edge of the carapace. Divers must carry a measuring device and measure lobsters underwater. * No egg-bearing lobsters may be taken. Look for the spongy orange mass under the lobster. * Sport-season daily bag limit: 12 lobsters, except Monroe County and Biscayne National Park, where the limit is six. * It’s illegal to spear lobsters. They must be landed whole. 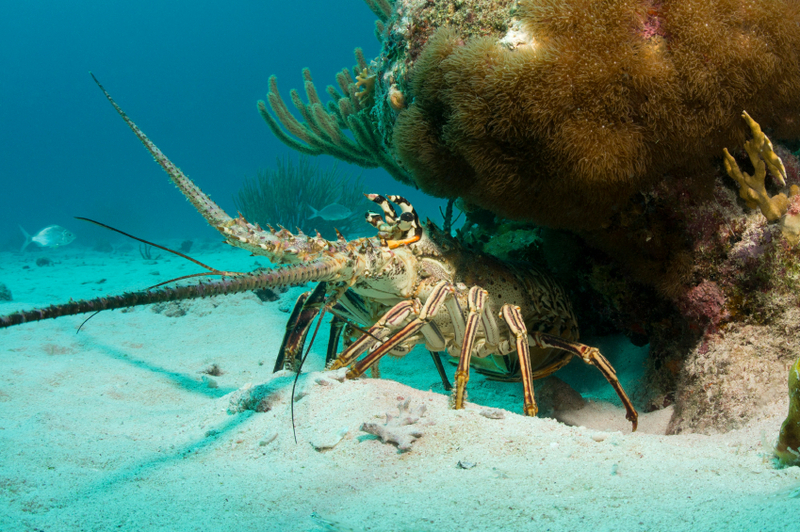 * Lobster divers must have a Florida saltwater fishing license and crawfish permit, unless exempt. Have fun tommorow & Safety First!